There once was a princess named Layna in a magical kingdom. Unable to take the throne before coming of age, her advisers first held the reigns while she spent her days in worry-free bliss. Layna was looking forward to her coronation more than anything. When it finally came, she knew her dream had come true. But suddenly, the celebration was cut short by an old witch. The uninvited guest announced that the kingdom hadn't waited all those years for an heir like her, and with the flick of her wrist a bright light blinded the royal hall. Layna closed her eyes, and when she opened them, she found herself in a haystack on a run-down farm. What happened that day in the throne room, and why can't anyone remember the princess? Layna goes on a journey to find the evil witch. Will she succeed in breaking the cruel spell, or be forever forgotten?! Travel together with the princess, savor the beauty of her magical kingdom, make new friends and overcome obstacles together to reach the coveted goal! Enthralling gameplay for all ages. 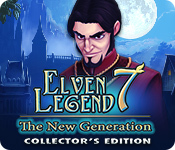 In the latest Elven Legend game, you will enter a fantasy world, where a young elven princess and her fawn friend oppose an evil that threatens to consume the Kingdom. Young princess Sonja is tricked into a plot against her parents and the whole elven Kingdom. When she discovers the truth, she sets off to destroy the evil golems, created by her own magic and save the people from invasion. • Find hidden books, fauns and golem puppets! • Crafting, sorcery and multiple bonuses! • Enjoy exclusive screensavers, concept art, music, and more! 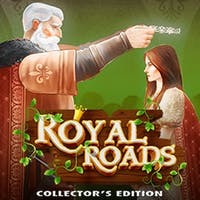 • Play effortlessly using the Strategy Guide! In the latest Elven Legend game, you will enter a fantasy world, where a young elven princess and her fawn friend oppose an evil that threatens to consume the Kingdom. Young princess Sonja is tricked into a plot against her parents and the whole elven Kingdom. When she discovers the truth, she sets off to destroy the evil golems, created by her own magic and save the people from invasion. Play this exciting time-management strategy game today! •	Find hidden books, fauns and golem puppets! •	Crafting, sorcery and multiple bonuses! •	Enjoy exclusive screensavers, concept art, music, and more! 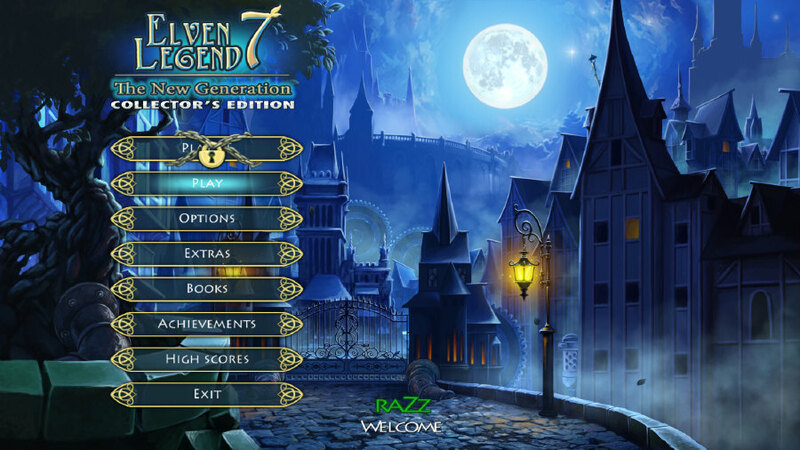 •	Play effortlessly using the Strategy Guide! Angela is ready to make a bid for the New York fashion throne, but the reigning queen has other ideas... Your favourite fashionista is back with a style-filled New York adventure as can only happen to Angela! Angela's dream is to open a fashion boutique in the heart of New York's most glamorous designer area. It's nearly Fashion Week, and she's ready to shine. With new sketches in her portfolio, she's off to find investors, who are closer than she thinks... But when reigning fashion queen Noemie hears about the hot young designer trying to take over, she sets out to destroy Angela's plans. At first Noemie's plan seems to succeed, and Angela returns home with her tail between her legs. But Angela wouldn't be Angela if she let some fading designer dull her sparkle! Your work is cut out for you. Can you assist Angela with her boutique and help her get into the New York Fashion Week? •	Are your fingers nimble enough to defeat our exciting time management gameplay? •	Are you Team Angel ?? or Team Devil ??? Which advice would YOU give Angela? •	Discover two secret levels! 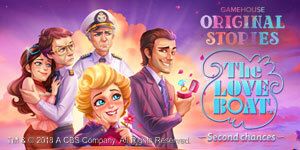 The Love Boat - Second Chances Collector's Edition presents a brand new time management adventure filled with romance, fun, and well - quite a bit of chaos! Juggle the many duties of a cruise director as you tend to each passenger's needs. Based on the hit TV show from the 80s, join the crew of the Love Boat today in The Love Boat - Second Chances Collector's Edition! Play a time management game based off the hit TV show. Level up your crew and upgrade their abilities. Play as different characters, each with their own talents. Sail through 60 levels, each with two bonus challenges. Fixes bugs and problems with the game. It's time for some female Viking power! Meet the brave druid Helga and the strong warrior Brunhilda - the two Viking women who will show you what girl power really means! If you think that back in the day, all women were mostly concerned about cooking, cleaning, and making their husbands happy, well... then you're wrong! The spells of a wicked sorceress put the Viking men out of action - and now it is on the female forces to deal with scorpions, giants, and many other dangerous creatures! Join the Viking sisters on their Click-Management hunt for the witch and prepare yourself for some unstoppable girl power! Experience the female Viking power at first hand in the sequel to Viking Brothers 5! Play Kingdom Chronicles 2 to learn more about the orcs' dirty tricks.